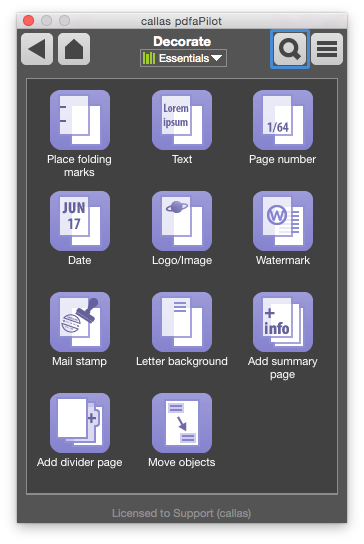 The Switchboard Actions under “Decorate” let you place a range of different object types within a PDF. Adds two folding marks to pages. These will be generated and positioned based on the page height. Places user-defined text on the page. 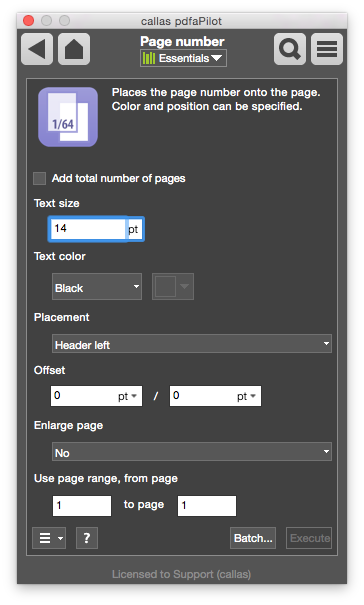 You can specify settings such as the text size and position. 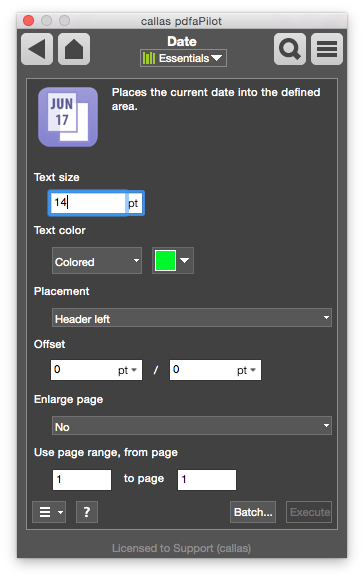 The text color, position and other settings can be specified. Places the current date on the page. 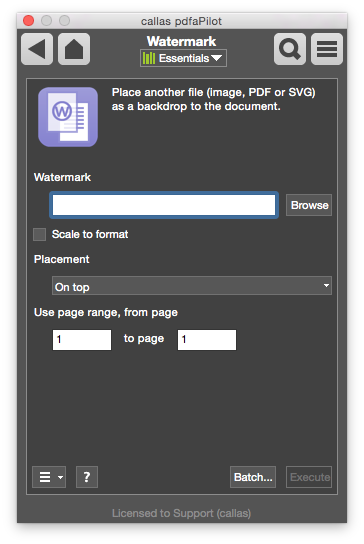 Places an image, PDF or SVG on pages. You can specify the position as well as the page range. 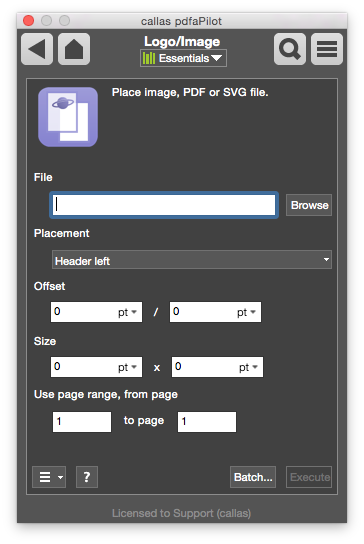 Places an image, PDF or SVG with transparency. This produces a see-through effect similar to a watermark. 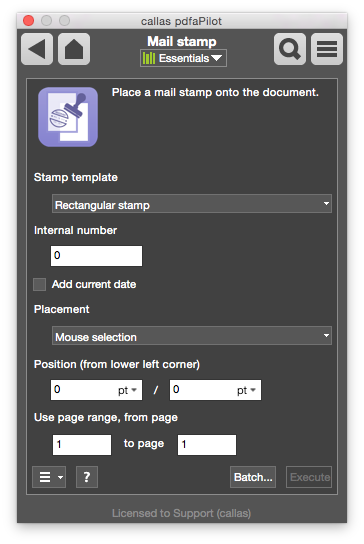 You can add a mail stamp to the document. An HTML template can be used to customize the stamp’s format. 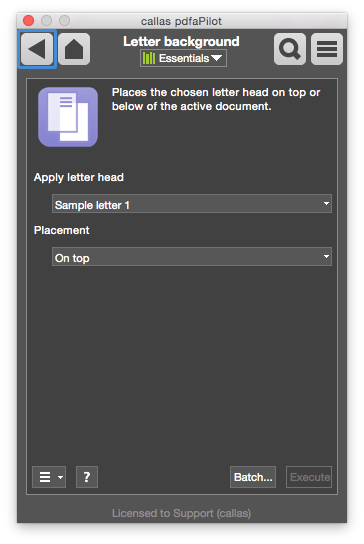 A letter background template can be placed on top of or below the content in the input file. Adds a page to the document summarizing its contents. 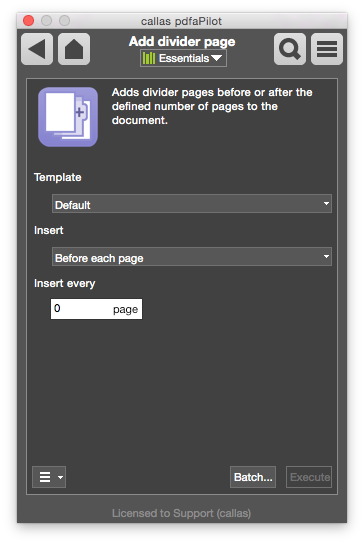 Divider pages can be added before or after a given page count. 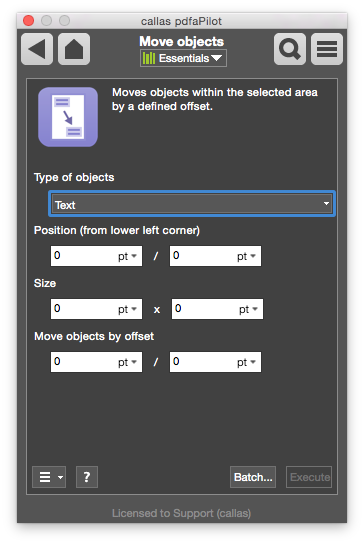 Objects of a given type can be moved to another position.